This regiment was raised in 1719 by Edmund Fielding. He drew its troops from independent companies of invalids - those otherwise considered too ill, old or injured for active service. Also recruited were Chelsea out-pensioners - men who received a pension from the Royal Hospital Chelsea, but lived in their own homes. The unit was re-titled the Royal Invalids in 1741. Ten years later, it was given the number 41 in the line infantry order of precedence. In 1787, it discharged its pensioners, gave up the 'Royal Invalids' title and started normal recruitment ready for active service overseas. Until that time, it had been used to garrison the naval base of Portsmouth. 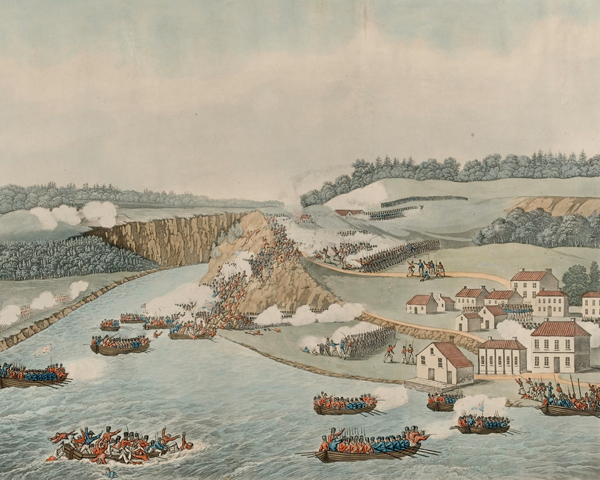 Its first overseas deployment came during the French Revolutionary Wars (1793-1802), when it helped capture Martinique in March 1794. It also took part in the attack on Guadeloupe in April that year. The regiment was posted to Canada for the War of 1812 (1812-15), in which it gained four of its 11 battle honours. It took part in the capture of Detroit and the Battle of Queenston in 1812, and fought on board ship at the Battle of Lake Erie in 1813. In the 1820s, it fought in the First Burma War (1824-26). Then, in 1831, it was given a territorial title, becoming the 41st (Welch) Regiment. Service during the First Afghan War (1839-42) followed, including Kanadahar, Guznee and Kabul. The regiment then saw action in the Crimean War (1854-56). It gained battle honours for the Alma, Inkerman and Sevastopol, won two Victoria Crosses and brought home its first ever goat mascot, a tradition continued by all its successor regiments. In the 1881 Army reorganisation, it was amalgamated with the 69th (South Lincolnshire) Regiment to form The Welsh Regiment, becoming the new unit's 1st Battalion. 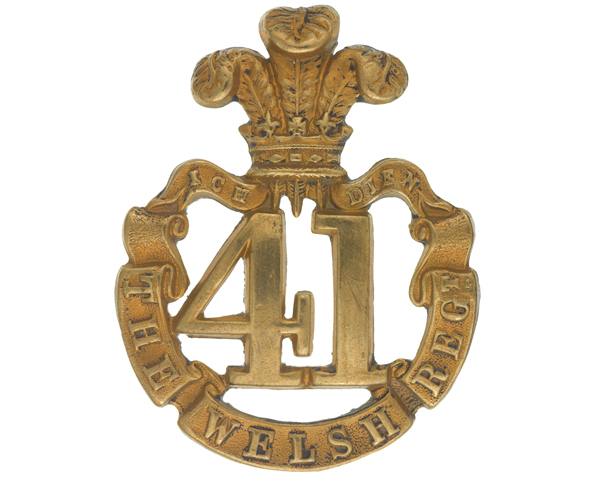 Explore the history and collections of the 41st Regiment by visiting the Regimental Museum of the Royal Welsh and Firing Line: Cardiff Castle Museum of the Welsh Soldier.